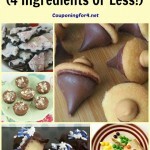 Chicago Bears Cupcakes – Football Should Be So Sweet! Do we have any Chicago Bears fans in the house?? 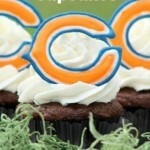 For football season, you HAVE to make these Chicago Bears Cupcakes for the next game! The recipe isn't easy, but the cupcakes are very cool and your guests will appreciate the effort!The instructions that I have here are cupcakes made from … [Read more...] about Chicago Bears Cupcakes – Football Should Be So Sweet!